St. Francis Retreat House has three levels, and is oriented east and west with the Main Chapel in the center. Floor plans for the building are presented below. 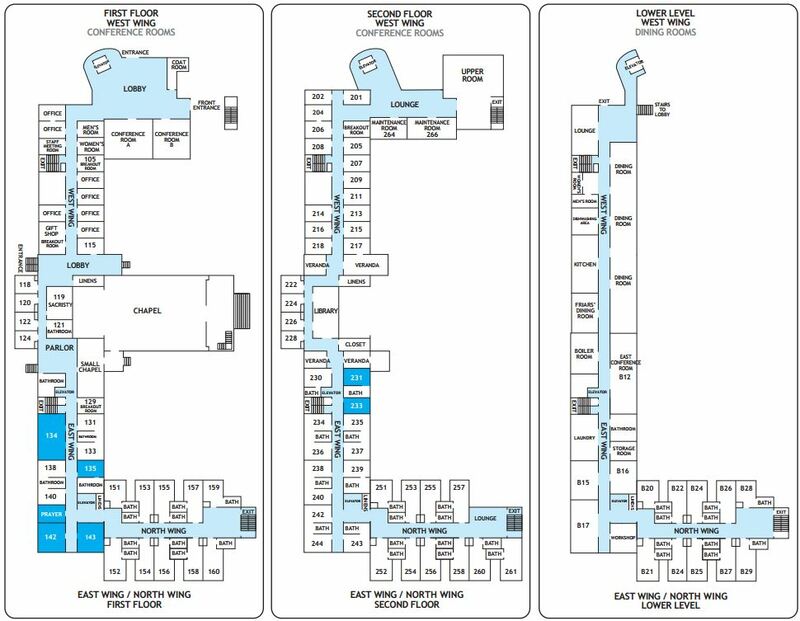 To help you navigate your way around the Retreat House, we recommend you bring a printout of the Room Schematics with you when you stay here; or you can refer to the link below via cell phone or other mobile device.